HISTORY...Egg Harbor consists of both the Village of Egg Harbor and the Township of Egg Harbor. The Township of Egg Harbor was established in 1855. The Village was settled by Jacob and Levi Thorp. It is said the mythical name to be attributed to an egg tossing battle between two schooner crews after a race to see who could land in the harbor first. Winners tossed eggs at the losers. South of Egg Harbor is Carlsville (an unincorporated community that is part of the Township of Egg Harbor). Carlsville is so named because of four men, all named Carl, were its first settlers. PLACES TO VISIT...Bob and I are rather fond of Egg Harbor. In 1976 we purchased our first Door County property in here and subsequently, have owned four properties in Egg Harbor. There are four great golf courses within minutes. The Alpine Golf Course is a 36 hole course, some fairways are short and others long. The Orchards at Egg Harbor is an upscale 18 hole course built on 200 Door County acres. Stonehedge is more of a short par 3 which is very inexpensive to play and easy to get on. Horseshoe Bay Golf Club is a private golf club and one of Wisconsin’s best championship courses. One of our favorite places to dine in Egg Harbor is the Village Café (which I have sold three times). Try their breakfast, it is absolutely fantastic. Another is Casey’s…the smoked barbecue dinners are super and it’s a fun place to go for a yummy hamburger at a reasonable cost. You’ll enjoy the unique shops throughout the Village. At Liberty Square you will find the shopping to be superior with fair pricing all the way around. The staging that Pam Wegner (owner) has done is superior. Jane’s Boutique is full of great and different styles for women at fair prices. For groceries, Egg Harbor offers a fantastic natural food grocery store owned by Kathy Navis. The Main Street Market is one of the primary grocery stores in Northern Door County. It’s my favorite! You will love your experience there, and if Dave and Vonnie Callsen don’t have what you’re looking for, they’ll get it for you. 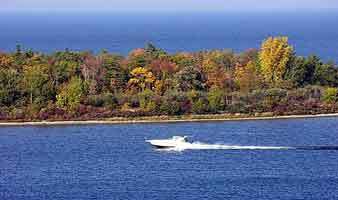 Egg Harbor also has some of best beaches in Door County and a fabulous marina.